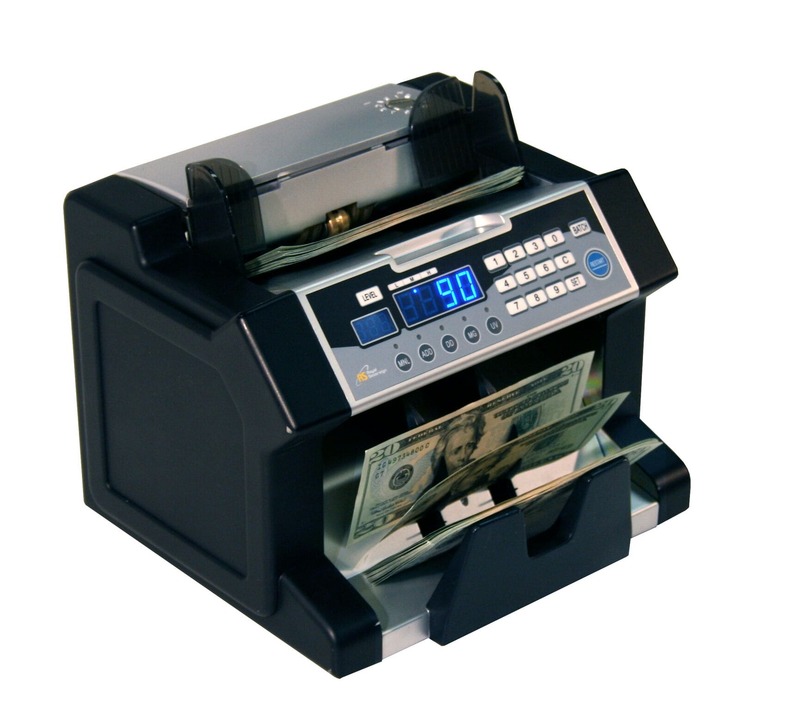 Royal RBC-3100 currency counter with Ultraviolet (UV), Magnetic (MG), and Infrared (IR) counterfeit detection. it is good to run in home or business. This unit is equiped with friction feed roller system for fast and accurate counting up to 1200 note per minute. Features with countinues runing of 4 hours. With keypad control you can added automatically and separated bills into batches. Hopper is back load and 300 notes at a time. It also equipped with external display system. Unit Dimensions: 8 !/2" x 9 1/2" x 10.2"
8 !/2" x 9 1/2" x 10.2"
Used this a few months now at work, and it's going strong. Only complaint is that the fraud detection gives too many false positives on some of the rattier, older bills making it better to just turn it off. So if you were buying it for that feature I'd say skip it. This has been a huge upgrade over my old bill counter. It has counted without fail and is exceptionally quick at doing so. I purchased this machine for use in a cash heavy operation. It supports the needs of four cashiers on a daily basis. After several weeks of us, it has performed flawlessly. I have tested the bad bill detection with a few fakes I made up for the purpose (and then destroyed), and it worked well. It has not had any issue approving good bills with "false alarms."